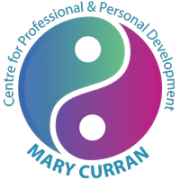 Marian Brennan is a qualified executive trainer and life coaching consultant. Her biggest passion in life is to encourage, motivate and assist people to become the best they possibly can be on whatever path or situation they find themselves facing. Marian has taken many leaps of faith throughout her own life and career, and understands how difficult big decisions and choices can be. After working in a university for 20 years, she went back to study. This new path brought her to IBM for 15 years where she worked as an education facilitator/trainer before moving on to manage software and finance teams. This has given her many years of experience leading and motivating teams to great success. Marian has also been a Toastmaster for many years, writing and delivering speeches on various topics from educational, motivational, award acceptance, wedding speeches, humorous and storytelling. She now mentors others to have the confidence to face their audience to achieve the same success. Marian believes that people are naturally creative and powerful, and that whatever realistic goal or challenge they wish to pursue they can achieve. Marian creates a coaching environment that is safe and non-judgmental, and where the client controls the agenda at all times.